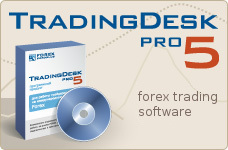 TradingDesk Pro 5 forex platform is a software which incorporates all of the front end and back office functionality required to provide information and dealing capabilities on Forex market to individual investors across the Internet. Web Forex Platform is a simplify alternative to the Trading Desk software. Web Forex Platform allows to check Your account completely and make deals as in the Trading Desk Pro via browser window. All You need is an internet browser with Falsh plugin. Its easy to begin a work. Press to the link Begin to Trade and enter your login and password. Register the demo account if you still haven't it. Here is stated main rules of deals: amount of minimum lot, commission, spreads, size of a minimum deposit and the others. All funds deposited with us are segregated from the corporate account and completely insured against fraud and embezzlement of management or employees of High Street Networking Ltd.
A mini forex trading account allows using 10,000 units of base currency as a trading lot. One pip is nearly $1. Mini forex trading accounts require a relatively small amount of upfront capital to get started. Account can be opened with as little as $100.